You have immediate pain or a dull ache deep in your shoulder. You have pain while lifting or lowering your arm, or with specific arm and shoulder movements. You feel weakness when lifting or rotating your arm, especially when reaching for something behind your back, combing your hair or changing your clothes. You hear a popping sound or feel tearing sensation in your shoulder. You sometimes feel a crackling sensation in your joint when moving your shoulder in certain positions. Your sleep every night is disturbed, especially if you lie on your side that's affected by your rotator cuff injury. If you are experiencing any of those symptoms or you're suffering from on-going pain in your shoulder then you might have a rotator cuff tear injury. The location, type of tear and any other injuries in the joint can greatly influence your ability to recover from and heal your torn rotator cuff. If you've suffered a traumatic sudden injury to your shoulder, you may have heard a sudden popping sound or felt a tearing sensation in your shoulder. Swelling around your shoulder will happen within a few hours after the injury or in the following days. If the injury is severe enough, you may also have some bruising on your shoulder. Immediate, intense, pain will follow - especially when you try to raise, lower, or rotate your arm. 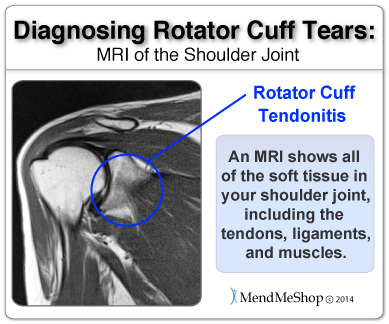 If your rotator cuff tear is big enough you might feel weakness (instability) in your shoulder. Over time this weakness will turn into a limited range of motion and inability to raise, lower, or rotate your arm - resulting in pain. At this point your rotator cuff injury would also be interfering with your sleep, causing pain and night and forcing you to wake up several times to adjust your sleeping position. Degenerative rotator cuff tears start out subtly but the pain gradually increases over time. You may also notice swelling after exercise or daily activities. If you do have pain, you may experience something called 'trigger point pain' in your shoulder and possibly feel weakness / instability. 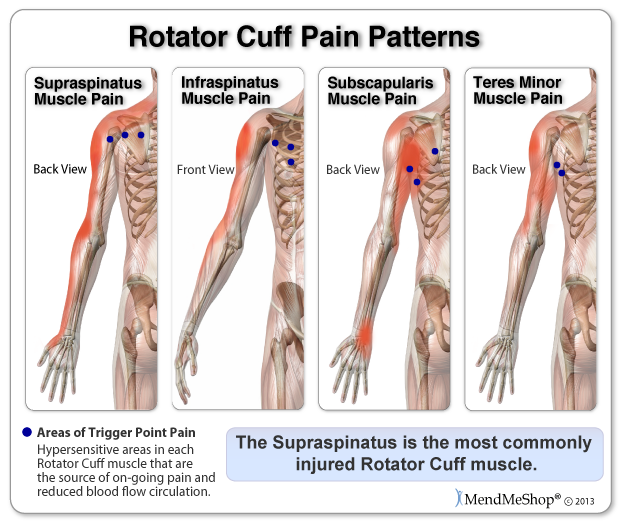 Trigger point pain is pain that comes from a specific spot in your rotator cuff muscle that has become a hypersensitive area. These trigger points, or hypersensitive areas of pain, are known to be a source of on-going pain and lack of blood flow within the tissue. Pain may increase with certain activities, like raising your arm to reach for something off of a high shelf, brushing your hair or teeth, getting dressed, or reaching behind your back. If you're suffering for a chronic rotator cuff injury you may have developed a sticking or freezing sensation in your arm. This freezing sensation (where mobility is completely reduced) may be a sign of another injury called frozen shoulder or adhesive capsulitis. Other symptoms, like a crackling sensation (crepitus) in your shoulder, could be a sign of degenerative conditions in your arm. This may mean you are suffering from arthritis or osteoarthritis (especially is the crackling occurs with consistent snaps or pops). How Do I Diagnose a Torn Rotator Cuff? The best way to diagnose this condition is with a quick visit to the your doctor for a physical examination of your shoulder. Range of motion tests will be done to see how much movement has been lost in the shoulder. 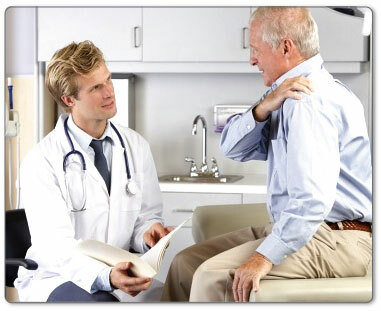 Your doctor may also consider any previous shoulder injuries or joint stiffness that you may have had in the past. This will help the doctor to determine if you have a more complex injury in your shoulder and rule out any other rotator cuff injuries that may be present. A set of range of motion and strength tests will be completed by the doctor including the Drop Arm Test. Your doctor will measure the number of degrees your arm can move when rotating. In the drop arm test, your doctor will ask you to put your arm out to the side and up towards your head. They will then ask you to move your arm back slowly to see if your arm will drop quickly on its' own because of a tear. Your doctor may suggest diagnostic testing to obtain more detailed information, and assess the amount and/or type of damage done to your rotator cuff. There are a variety of different tests available to help them analyze the situation; and the recommendation will be dependent on your injury. X-rays will provide an image of the overall bone structure of your shoulder. It's helpful in identifying abnormal bone shapes, fractures, arthritis, osteoarthritis, bone spurs or loose bones and bone abnormalities that may mimic a torn rotator cuff. Other tests like a bone scan, MRI (magnetic resonance imaging) or blood tests may be done if an x-ray looks normal or the doctor is unsure whether you have a fracture. These tests will also rule out any infections of the bone or tissue and help to determine if you are suffering from other injuries like arthritis or osteoarthritis (degenerative damage). Second, if your doctor has decided that your injury can be treated with conservative treatment options, then you'll find that many of our customers have had great success treating themselves with our powerful conservative treatment product - the Shoulder TShellz Wrap and accessory ebook and pain relief products . What Causes a Rotator Cuff Tear Injury? Rotator cuff injuries are almost like a domino affect. As soon as one area of the tissue is damaged, other areas can get torn or strained as well. It's entirely possible to be suffering from a rotator cuff tendinitis tear injury, strained rotator cuff muscle and also develop a bone spur in your shoulder. A rotator cuff tear in the tendon or muscle could also lead to impingement syndrome (where your tendon or bursa gets caught between the bones in your shoulder). If left untreated, a rotator cuff tear injury can also lead to frozen shoulder (adhesive capsulitis) - a shoulder joint injury that causes thickening of the shoulder joint capsule that basically 'freezes' your arm and shoulder in place (with an inability to move, raise, or lower your arm). Anyone can injure their rotator cuff badly, though rotator cuff tears happen most often from sudden or traumatic accidents and overuse or repetitive stress. A fall, lifting or pulling an object that's too heavy, accident, or injury during a sporting activity can all cause sudden trauma to the rotator cuff. Athletes that play sports where they repeatedly use their arms in raised and lowered positions - such as baseball players, swimmers, tennis players, and football players - are often affected by a rotator cuff tear. It's much more likely for someone who is young to get a torn rotator cuff through an accident or sudden traumatic event. In comparison, overuse and repetitive movement injuries can affect everyone due to degeneration of their rotator cuff over time. As we age, our tissue ages too. As we get older, the tissue in our rotator cuff starts to thin and break-down. Any repetitive or frequent movement can place stress on your rotator cuff over the years. Your shoulder can also suffer degenerative changes such as arthritis, osteoarthritis and/or cartilage thinning on the ends of the bones. This gradual wear and tear in your shoulder comes for overuse, repetitive shoulder movements, arm lifting / lowering / rotation with weight bearing activities. Degenerative changes to the shoulder happen slowly, so you may end up suffering with a rotator cuff tear from a simple daily activity that you have done frequently over a long period. You need to be aware that this injury can happen to anyone and is not just isolated to athletes! The rotator cuff is a group of tendons, muscles and ligaments in your shoulder that create a 'cuff' in your shoulder around your upper arm bone (humerus). These tendons, muscles, and ligaments connect your humerus to your shoulder blade (scapula), or 'wing' bone. These tendons and muscles work together to provide stability and a full range of movement (rotation) for your shoulder. 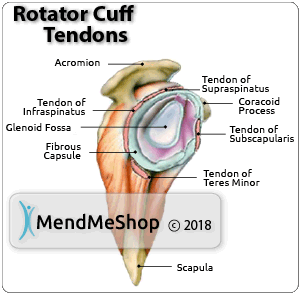 The tendons of the rotator cuff act as connectors for your rotator cuff muscles to the bones in your arm. There are 4 major tendons in the rotator cuff: the teres minor/teres major, supraspinatus, subscapularis, and infraspinatus. These tendons come together to form 1 large tendon called the rotator cuff tendon. Rotator cuff tendinitis or a tear in one the these tendons, is the most common cause of rotator cuff pain. There are also ligaments in your rotator cuff that can be torn. These ligaments connect your collar bone (clavicle) to the humerus and scapula in your shoulder. Any of these major ligaments (the coracoclavicular, acromioclavicular, coraco-acromial, coraco-humeral, transverse humeral, superior glenohumeral, middle glenohumeral or inferior-glenohumeral) could also get torn if your rotator cuff injury is severe enough. 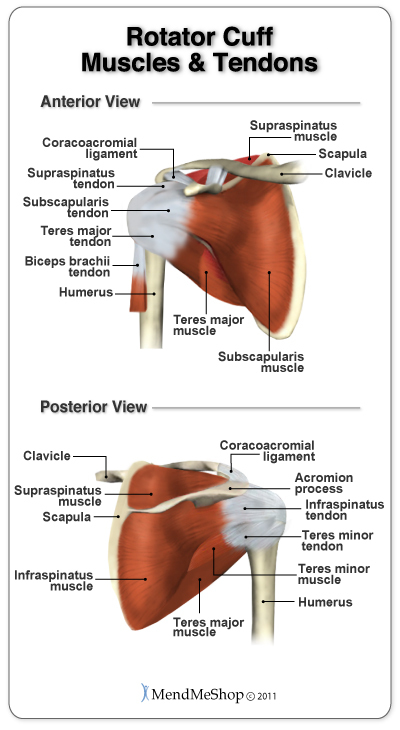 The rotator cuff muscles, named the same as the tendons (teres minor/teres major, supraspinatus, subscapularis, and infraspinatus) are other common areas of tearing. You may in fact get multiple injuries in your rotator cuff that includes a strain or over-stretch of one of the muscles in your shoulder. How Do I Fix My Shoulder Tear? If you have a complete rupture, you will need surgery to get it fixed - either by graft or stiched. Also, the longer a full tear is allowed to persist, the more difficult it will become for your surgeon to fix it. This is why it is important to get a proper diagnosis from your physician. Partial tears will not necessarily require surgery, however, and in most cases a physician will recommend a conservative treatment program - this means a course of Rest, Ice, Compression & Elevation. A full thickness rotator cuff tear, is also known as complete tear of the rotator cuff, full rupture or severed rotator cuff tendon. Once a tendon, muscle or ligament is fully severed, there is no way to fix it without undergoing some form of surgery (graft or reattachment). If are one of many people currently suffering from a full thickness tear and will be undergoing surgery, know that we have the tools you need to properly and quickly recover from your reattachment surgery. 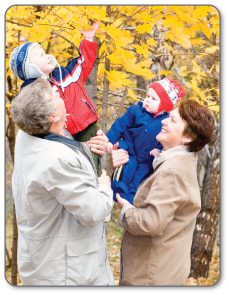 Click here to view our Surgery Recovery Information. Why Won't My Partial Tear Heal? Rotator cuff tears are known to be difficult to heal as the rotator cuff area in the shoulder is a very complicated arrangement of tissue in multiple layers. The rotator cuff is made up of muscles, tendons, and ligaments that form a 'cuff' attached to the upper arm bone (humerus), 'wing' bone (scapula), and collar bone (clavicle) in your shoulder. It is possible to get a tear in your rotator cuff that is actually a tear in a tendon (attachment point between muscle and bone), muscle, or ligament (tissue attaching bone to bone. Your tear could be located in the teres minor, infraspinatus, supraspinatus, subscapularis area of the tendons. It's also possible to get a tear in the coracoclavicular, acromioclavicular, coraco-acromial, coraco-humeral, transverse humeral, superior glenohumeral, middle glenohumeral or inferior-glenohumeral area of your ligaments. Rotator cuff tears in a tendon or ligament receive very little natural blood supply. It's the lack of blood flow around your tear that makes rotator cuff injuries so hard to heal. 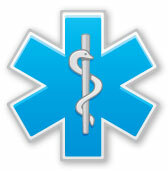 Healing is tough no matter what course of treatment your doctor's suggesting - ice, heat, physical therapy or surgery. However you choose to treat your rotator cuff tear, keep in mind that increased blood flow to injured soft tissue help the the injured tissue heal faster. The most amazing thing most people don't know is that your body is capable of healing itself. It uses your blood supply to do this. Even if you don't receive enough blood flow to the location of your rotator cuff tear, you can still treat yourself in a way that gives your natural blood flow the boost it needs to reach further into your torn shoulder tissue. To Give YourSelf the BEST Chance At Healing Your Partial Rotator Cuff Tear, You Need To Heal It Quickly, and Completely. Step 1: If You Have Significant Swelling, Get Rid of It. This will open up blood vessels by decreasing swelling & inflammation. The 1st step is to reduce swelling. Most people find that a lot of the pain goes away with the swelling. More importantly, however, is that swelling impedes blood circulation in an injured area and this has a dampening effect on your healing rate. Reduce swelling by using a Cold Compress or Ice Pack. Using this early on in your healing process will numb your pain in a comforting way, get rid of your swelling and minimize further tissue damage in your rotator cuff on a cellular level. Application of a Cold Compress or Ice Pack will dramatically reduce the amount of fluid leaking into your shoulder joint, decrease pressure being placed on your blood vessels, and open the pathways necessary to deliver blood flow right into your torn rotator cuff. Effective Cold Compression with a Cold Compress slows nerve and cell function - reducing swelling that blocks blood vessels from doing their job. The most common rotator cuff tears are in areas that get very little bloodflow. This is what you need to change - you need to greatly enhance your blood circulation in the shoulder area to kickstart healing into high gear. This is done best by using a Shoulder T•Shellz Wrap® (Deep Tissue Therapy). Deep Tissue Therapy therapy substantially increases the flow of blood to your injured shoulder without the need to exercise or move your weakened joint. The only way to get maximum blood flow to your torn tissue is to help your body stimulate blood flow. Deep Tissue Therapy is the fast, easy, pain-free way to increase blood flow. More blood flow means more healing nutrients, oxygen and antibodies; which means faster, more complete healing of your damaged tissue. 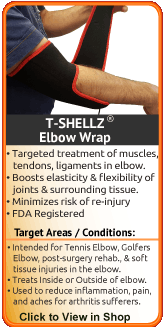 The only way to get Deep Tissue Therapy while treating yourself at home is through use of a Shoulder TShellz Wrap. In some cases, your doctor may recommend drugs or medications like NSAIDs (non-steroidal anti-inflammatory drugs) to manage pain and inflammation. Alternative medications like cortisone injections are NOT advised for most soft tissue injuries to the tendon, ligament, or cartilage. This is because there is an increased risk of rupture of a tendon following a cortisone injection. Why won't My Rotator Cuff Injury Heal? Have you ever asked yourself this question? Here at AidMyRotatorCuff we've had this question asked of us for years. The real answer is that the reasons are different for each person. What many of our clients have realized though, is that once you have a good understanding of the injury, it becomes much easier to understand why certain problems are occurring. If our body is capable of healing our own injuries, why does it take so long to heal - and in some cases, why does no healing occur at all? When we have a ligament, tendon or other soft tissue shoulder injury, the tissue and cells are damaged. Your body responds to this damage with healing right away. During this healing process your shoulder tissue spasms and this contraction is meant to hold the tissue still to prevent any further injury. Swelling and inflammation is your body's way of sending blood to the area to start healing. Healing at this point will also expand the blood vessels in the injured tissue - they enlarge and swell, causing you pain. This pain is a signal for you to lessen activity that would put anymore undue stress on your shoulder injury. It also acts as a reminder that you have an injury. Why are shoulder injuries so hard to overcome? ... In two words - scar tissue. Tendons, muscles and other soft tissue in the shoulder are all meant to be soft and flexible, ready to work and move extreme forces in everyday activities. Damaged tissue heals with scar tissue; little tiny band-aids that overlap each other on the tissue mending the injury. With the added scar tissue the muscle, tendons and ligaments become rigid, less ready to move and unable to receive the full force of your movements. For example, scar tissue in a damaged tendon sheath (tenosynovitis) will fuse to the tendon, causing severe pain and highly constrained movement. If you're suffering with scar tissue now you may feel the effects with stiffness, tightness, weakness in the shoulder accompanied by sharp pain when making certain movements. On-going issues with scar tissue can even result in a soft tissue tear, related soft tissue injuries to nearby tendons or ligaments and joint instability. Surgery may even be required as a final intervention. Scar tissue is one of the MAIN reasons why a soft tissue injury just hasn't healed. Scar tissue will form fast to deal with a shoulder injury, and this scar tissue will also attach to everything in the area, including the surrounding healthy tissue as well. This can result in a fusing together of the soft tissue in the shoulder that reduces your mobility and makes your injury even more painful! This is why physical therapy is often painful - the therapist stretches the joint, forcing the scar tissue bonds to break so you can regain your range of motion. Scar tissue is a major problem especially when it comes to a partial tendon tears, tendinosis (chronic tendinitis), tenosynovitis or severe muscle strain - causing your injury to take months or even YEARS to completely heal! You can soften scar tissue and inhibit the growth of more scar tissue in your shoulder by increasing blood flow to that area. Treating yourself with a Shoulder TShellz Wrap is the easiest and most effective way to accelerate your recovery and deal with stubborn scar tissue. 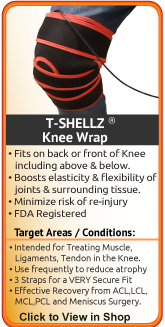 When applied before activity or work, the TShellz Wrap will also relax and lengthen your soft tissue to help improve your range of motion and prevent atrophy (wasting away) of your injured shoulder. 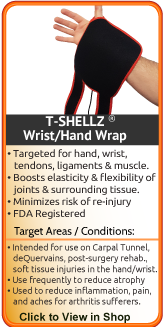 Overall, continued treatment with our Shoulder TShellz Wraps will maintain good health in your soft tissue and significantly reduce your risk of re-injury. Ok, well the good news is that AidMyRotatorCuff conservative treatments are also highly effective for post-surgery recovery. To learn more about how to get started with post-surgery recovery, click here. Constant re-injury is very common with partial tears and needs to be avoided at all costs. Obviously, it delays the healing process, but what's worse is that every re-injury and additional healing cycle increases the amount of scar tissue that builds up in and around your rotator cuff injury. Deep Tissue Regeneration Therapy (Deep Tissue Therapy) is the best treatment available to deal with over compensation issues and injury prevention by maintaining healthy blood flow to your entire shoulder. What can you do to actually start healing your rotator cuff? The answer is simple. Your body can heal itself and it's the blood in your body that makes it all happen. Your blood is how everything that's good inside of you is transported directly to your injured rotator cuff. Your blood carries oxygen, nutrients, water and antibodies right to the source of your injury and pain. 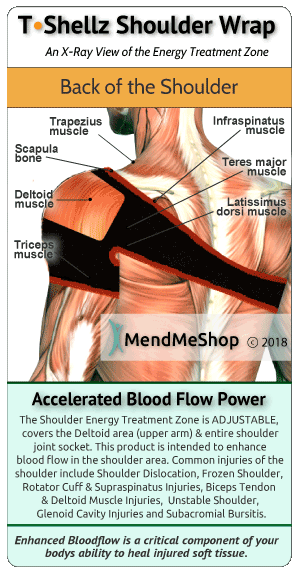 Bringing proper blood flow to your shoulder is essential for healing. Promoting blood flow around injured tissue to help the body heal itself is a concept that's been used for centuries. Oxygen and nutrients, carried in your own blood, are critical for the body to heal itself. Without proper blood flow, recovering from your rotator cuff tear will be delayed... Sometimes for a very long period of time. Even though the concept is simple, improving blood flow to the tendons and ligaments in your shoulder can be difficult. Traditional methods require you to move your sore/stiff shoulder in order to promote blood flow. This same motion that promotes blood flow can also make your pain and rotator cuff injury much worse (especially if you need to immobilize your shoulder during surgery recovery). 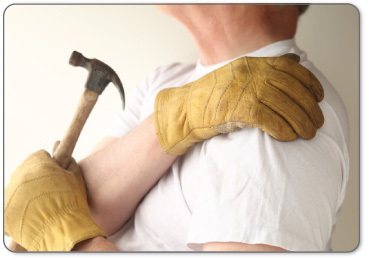 Relying on movement alone to increase blood flow puts you in danger of re-injuring your shoulder. So what do you do when you need to increase blood flow, but you can't move your shoulder without re-injuring your tissue? Using Deep Tissue Regeneration Therapy (Deep Tissue Therapy), will help with your recovery and heal your rotator cuff more completely. Deep Tissue Therapy increases the amount of blood that flows naturally to your soft tissue to nourish your shoulder, improving elasticity and speeding the healing process. This increased Deep Tissue Regeneration Therapy to your damaged rotator cuff is greatly needed to complete your healing and avoid re-injury once and for all. The only way to get Deep Tissue Therapy is through use of a Shoulder TShellz Wrap. The Shoulder TShellz Wrap is the only treatment method that improves blood flow and circulation on a deep tissue level. Other methods of warming / heating tissue (hot water bottles, hot baths, etc) will only ever increase blood flow on a surface / skin level. These methods need a LOT of time to even reach your rotator cuff tear on a deep tissue level. And even if you were to use them this long your skin would heat up to an uncomfortable level and it may even burn you. When treating a rotator cuff tear or any soft tissue injury, an effective therapy will increase blood flow to the injury while your shoulder is immobile. The Shoulder TShellz Wrap is a highly effective blood circulation stimulator that is approved by the FDA for use in the home. 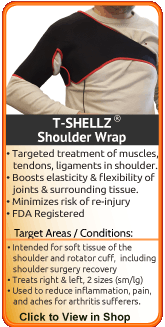 How Does the Shoulder TShellz Wrap Promote Deep Tissue Therapy? 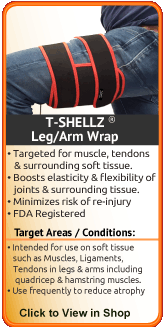 Every TShellz Wrap contains an Energy Pad that's flexible and shaped to conform around your shoulder. The Energy Pad provides a uniform wave of healing electromagnetic energy over the entire treatment area. This energy travels deep inside your soft tissue to stimulate blood flow on the deep tissue level where it's needed to heal your injury. 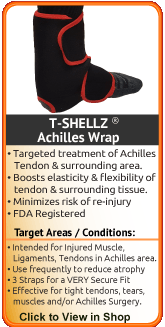 It's the electromagnetic energy provided provided by our TShellz Wraps that's crucial to the healing process. Once these energy waves reach your torn rotator cuff, they're absorbed and quickly converted into heat energy right at the location of your injury. Electromagnetic energy provides a wide range of health benefits for those not only suffering from a rotator cuff tear, but for many other soft tissue injuries as well. Living with pain is never easy as it affects your entire lifestyle. Living with pain during or after an intensive surgery and lengthy rehabilitation period can be even harder! What is more important than taking your best shot at healing your shoulder without getting surgery? Technology and surgery methods are constantly improving in the medical industry, and results from shoulder surgery are much more positive than they were in the past. However, all surgeries introduce scar tissue and recovery from the surgery will center on the same issues addressed earlier - elimination of scar tissue, strengthening of soft tissue (tendons,ligaments,muscle) in the shoulder and increasing the Range of Motion (ROM) in the shoulder. 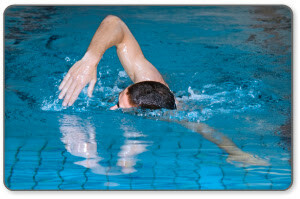 Generally, post-op recovery is about you working toward having a strong, flexible and stable shoulder. This even holds true for implants - the goal is always the same. Rehabilitation at-home while attending regular physical therapy is vital for your overall recovery time. Once your PT or Physician agrees you are recovered enough to do so, gentle stretching and conservative home treatments on a daily basis will speed your recovery. PT appointments are often once or twice a week and often limited in duration due to insurance coverage, but you can treat yourself at home every single day. AidMyRotatorCuff stands out in this regard- Our goal is to help you get and keep your shoulder healthy for the long-term in a cost effective manner. This might mean healing your rotator cuff injury without the need for surgery. If surgery can't be avoided, then our tools can help you recover from surgery more quickly and completely. We are quite confident that we can help you, as thousands of happy clients to back this claim. 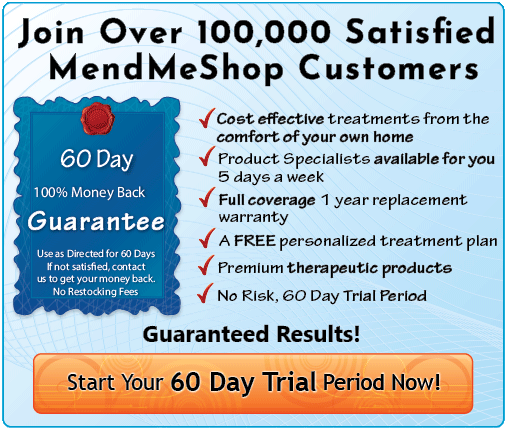 You are welcome to try our products for a 60 day period.. If you are committed to following the treatments outlined in the product instructions we are very confident that our TShellz Wraps and Ice Packs will aid you immensely. 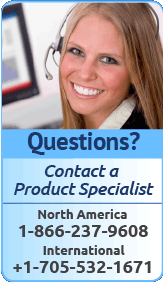 If you do not receive the benefits that countless of our other customers have experienced from our products, call us, mail the product back to us and we will provide you with a full product refund. If you want to avoid re-injury, or manage pain and increase circulation for lifelong health benefits a Shoulder Cold Compress and TShellz Wrap will provide the results you are looking for. Why spend time in pain, off from work, and missing out on your active lifestyle when you can be proactive about your injury and the health of your body? Talk to your doctor about incorporating a regular routine of using a Cold Compress and Deep Tissue Regeneration Therapy. Call one of our AidMyRotatorCuff Advisers at no cost or obligation to address any lingering questions you have about using heat or cold for your shoulder injury - toll free 1-866-237-9608. 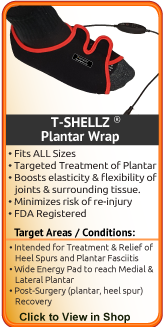 Learn more about how the TShellz Wrap helps with the healing process.